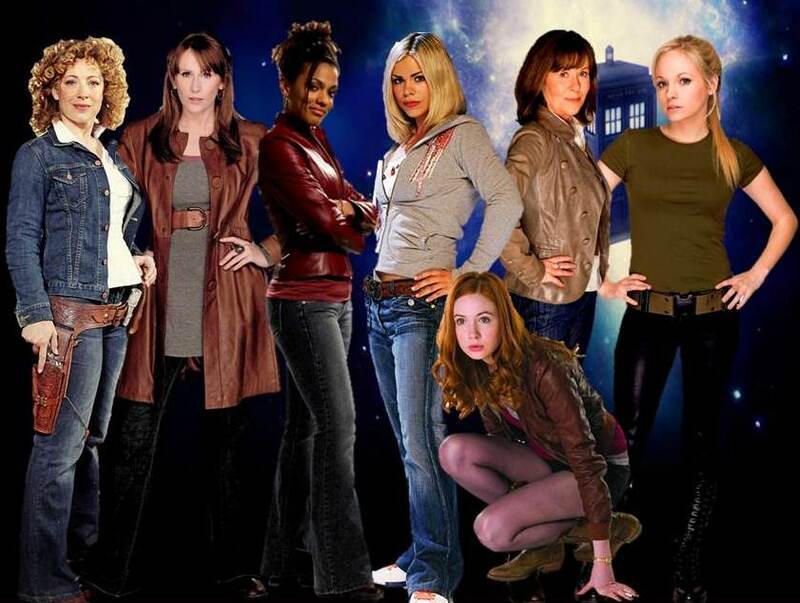 The Doctor's Girls. . HD Wallpaper and background images in the डॉक्टर हू club tagged: amy pond martha jones river song sarah jane smith rose tyler jenny donna noble doctor who. This डॉक्टर हू fan art contains अच्छी तरह से तैयार व्यक्ति, सूट, पैंट सूट, pantsuit, पैंट्सट, अच्छी तरह से कपड़े पहने व्यक्ति, hip boot, thigh boot, लंबी पतलून, लंबे पैंट, लंबे पतलून, and लंबी पैंट. There might also be नंगे पैर, pantyhose, चिपटनेवाला पैंट, चिपटनेवाला, पेंटीहॉस, स्किन्टाइट पैंट, स्किन्टाइट, skintight पैंट, skintight, होजरी, नली, ऊपर का कपड़ा, overclothes, ऊपरी वस्त्र, and ओवरक्लाइट.